Over 225 photos with 210 recipes including crabs and crabmeat prepared in every way imaginable - soups, stews, salads, casseroles, dips, pies, fondues, barbecues and more. With chapters like Crabba-Dabba-Doo, Sign of the Crab, Crabby People, Crab Art this book is a must for the blue crab lover in you. Information on crab buying, crabbing lore, pithy crab country commentary and more. What began as a hobby - a collection of hundreds of seafood restaurant menus, cookbooks and recipe clippings, some 30 years' worth of notebooks full of crab facts and waterway memorabilia - has turned into a reference library. 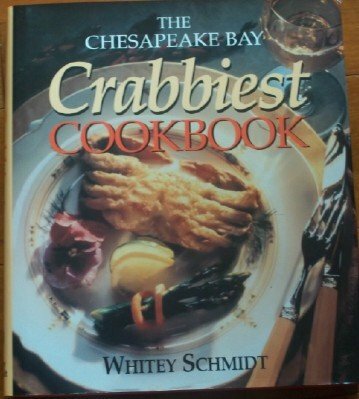 Whitey Schmidt has been dubbed the "Blue Crab Gura" by Chesapeake Bay Magazine.